What a great time to be a Rotarian!! Spring is springing, the birds are chirping and the winter blahs are turning to colors! While every club has been busy through the winter months there is a veritable explosion of events happening! Warm sunny days bring people out to our events. Road races, home shows, pancake breakfasts, chowder fests and so many more are enhanced by nice weather. Spring also brings the District Assembly, RYLA and the District Conference. Club officers scurry to finish projects before their year ends and incoming teams are making plans to hit the ground running in July. Debbie and I will continue to attend as many events as possible to show our clubs the support and respect you deserve. We look forward to visiting all the clubs to deliver the District Awards in the coming months! Have you signed up yet for two valuable upcoming events? 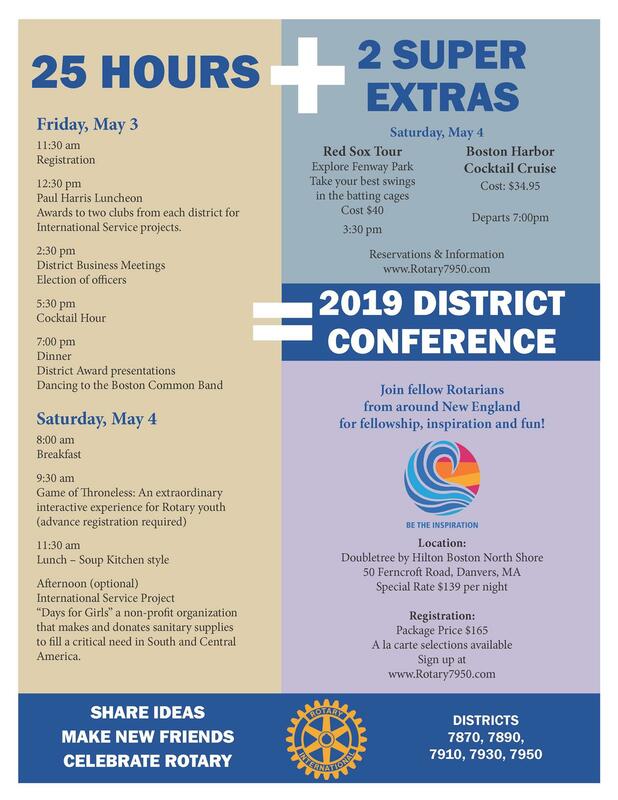 District Training Seminar, Sat., April 13, 8:00 am (7:30 registration) at White’s of Westport. Secretaries & treasurers training, District Grant training, updates on membership, New Generations and what’s happening around the district. 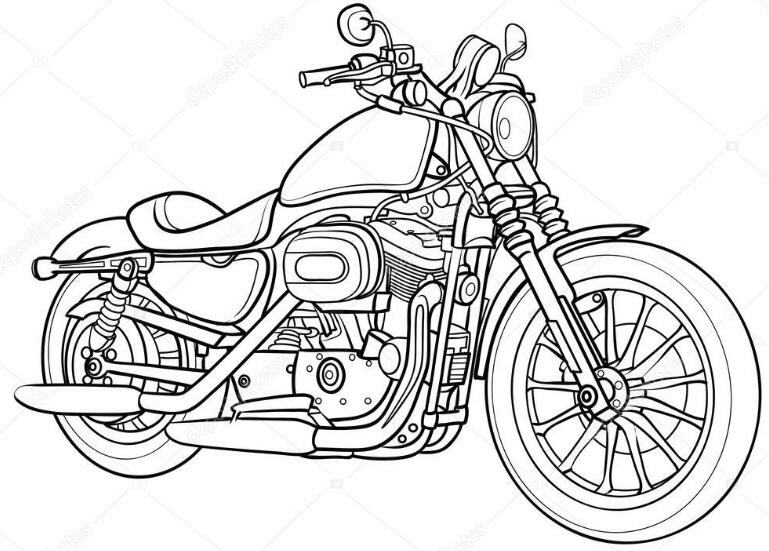 Akee Parwaz of the Bridgewaters club, Russell Bertrand from Wakefield and Roger Cabral in Fall River are planning to lead a number of rides throughout our district this coming motorcycle season. If you’re interested in participating, please email district7950rides@gmail.com and they’ll add you to the invite list for upcoming rides. All rides will be open to friends and family of Rotary members. Some of you may be aware that there is an International Fellowship of Motorcycling Rotarians. While there is a chapter in North America, most of their rides are held far outside of the Northeast. If there’s enough interest locally, Akee, Russell and Roger will look into starting a chapter of our own. Thank you all for all you do and for making me proud to be a Rotarian in District 7950!! !